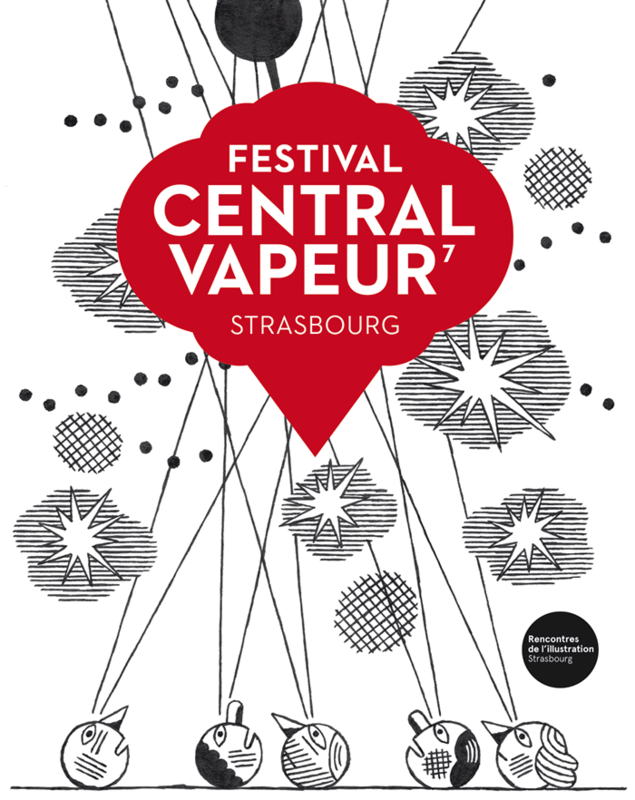 Once again the festival will be part of the Rencontres de l’illustration de Strasbourg combining its programme of events with those of the city’s museums, libraries and HEAR art school. A long time in the making, our original project to showcase illustration work from Nancy has since transformed into a bigger and better Grand Est edition. Look out then in the festival for the many collectives working in the region from the Vosges, the Ardennes, Metz and far away… to the depths of Hell where the diabolical duel between the patron saint Jochen Gerner and Guillaume Chauchat falls under the spotlights of this year’s Dialogue of Dessins, the champions of style are ready for the off, their Rouergue suitcases packed with pyjama(ramas) by Frederique Bertrand. Far away, Dans le Ciel Tout va Bien is contributing to a number of different projects, alongside the giant Benoit Jacques and his mini publishing house. Paris, Moscow, Berlin the journey continues… onwards through space, the final frontier, to the Battlestar, to see the reigning champion, Matthias Picard defend his title. But as the saying goes: Power is fleeting, Love is eternal. et mêle sa programmation aux propositions des Musées, des Médiathèques et de la HEAR. Made up from printing collectives, independent authors, cultural groups in both Strasbourg and the region as a whole. Since 2010 CV participates in the development and role of illustration, comics and graphic novels, contemporary drawing by organising events that involve its network of local and European talent. Since September 2015 CV offers an advice service to professional illustrators :Central Vapeur PRO. You can find us too on Facebook. Independent publishing can take many forms, small and not so small businesses, not-for-profit collectives, small presses and self-publishing. Whether they are run with Swiss precision or in complete chaos, indy publishing in Alsace, France and beyond is a source of personal expression and creative freedom. Children’s picture books, abstract drawing, screen-printed posters, fanzines, comics or publications of a more selective taste, all the different tendencies of indy publishing and the graphic arts scene are represented here. We have carefully selected our exhibitors: come and meet them and see their great work. — Scroll down for the list of exhibitors. the books, read, ask questions or take part in one of the workshops then be our guests ! Every year the exhibitors make a generous contribution of one of their works to our guess the weight basket. Guesses can be made at the entrance to the book fair. The winner will be announced on Sunday at 6pm, make sure you are there to claim your prize! Bar (coffee, soft drinks, wine, beer) snacks (knacks, bretzels, salads). organised by the studio Terrains Vagues. Story books for young children. (4-8 years old).